Looking to get a Playstation Plus subscription ? 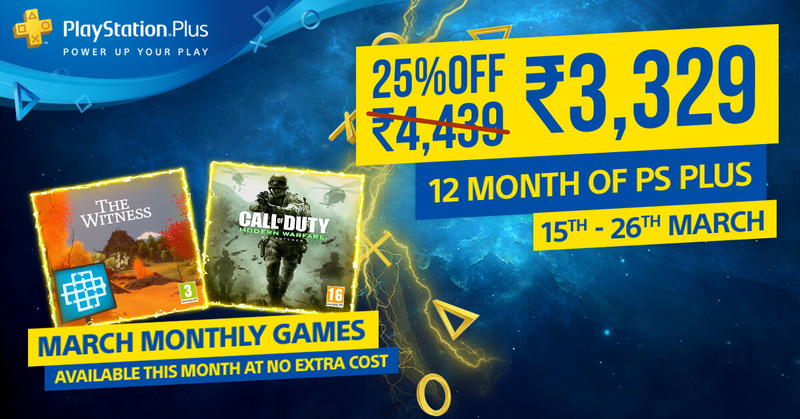 Then you are in luck, PlayStation Plus 12-month subscription is available for a discounted price. Consumers who want to buy a 12-month subscription can do so for just ₹ 3,329. The regular price for the subscription is ₹ 4,439. The offer is valid from 15 March – 26 March and is available with leading offline retailers and Games The Shop website as well. Consumers can buy the 12-month subscription card from a retailer and redeem the code on PlayStation Store. 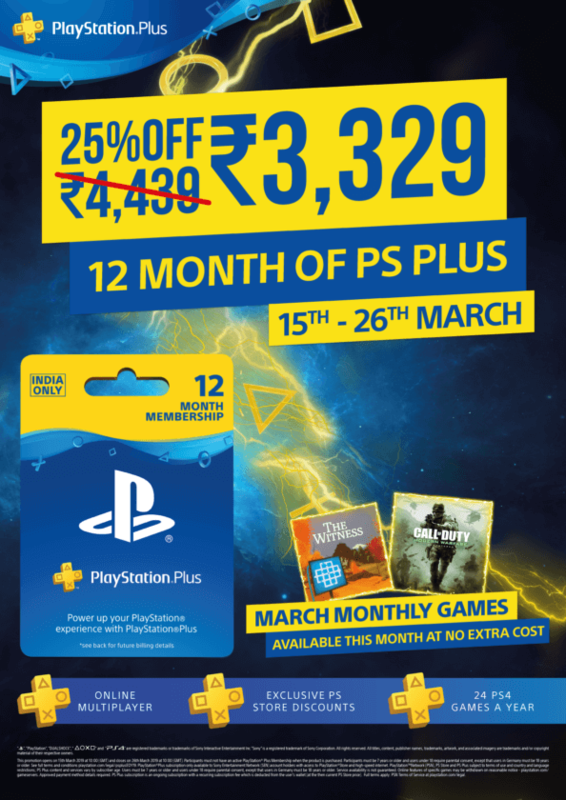 Current PlayStation Plus subscribers can also avail this offer and add an extra 12 months to their existing subscription. PlayStation Plus subscribers get benefits like free monthly games, discount on games, 100GB of online storage for game saves and exclusive early access to new full game trials, demos and public beta trials. This month, PlayStation Plus subscribers can download Call of Duty: Modern Warfare Remastered and The Witness for free. Head on over to GamesTheShop to get this offer now.